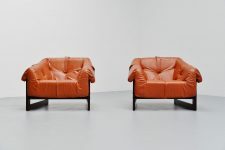 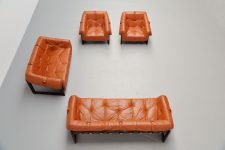 Very nice and large lounge sofa set designed and made by Percival Lafer, Brazil 1960. 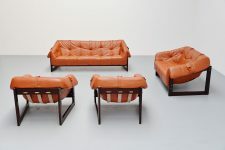 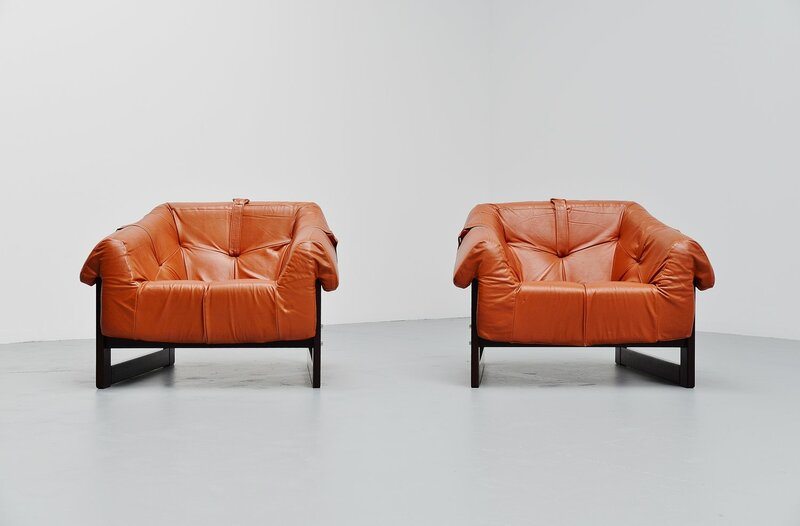 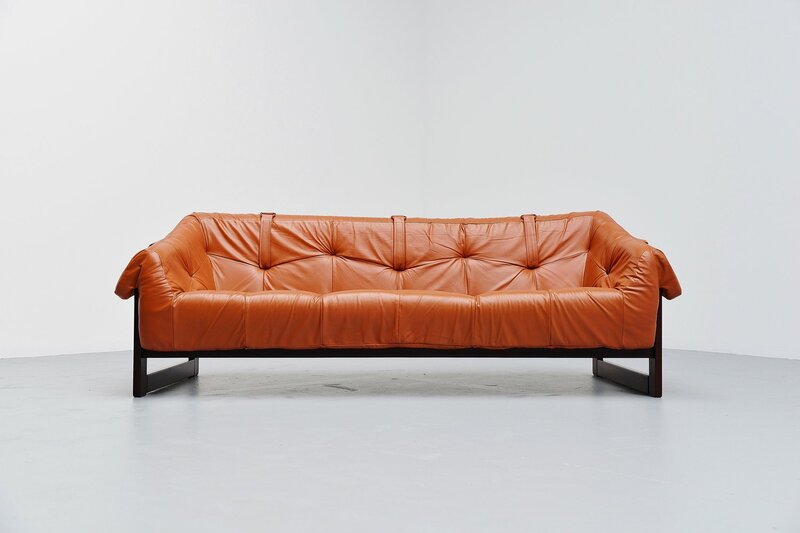 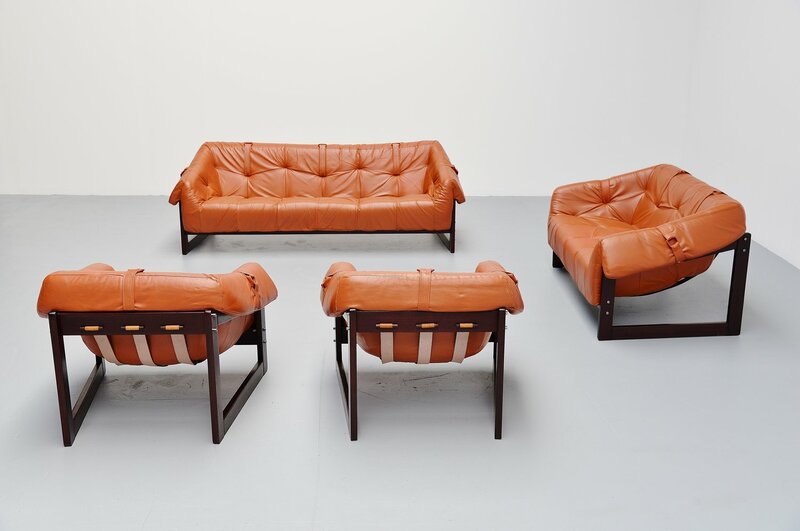 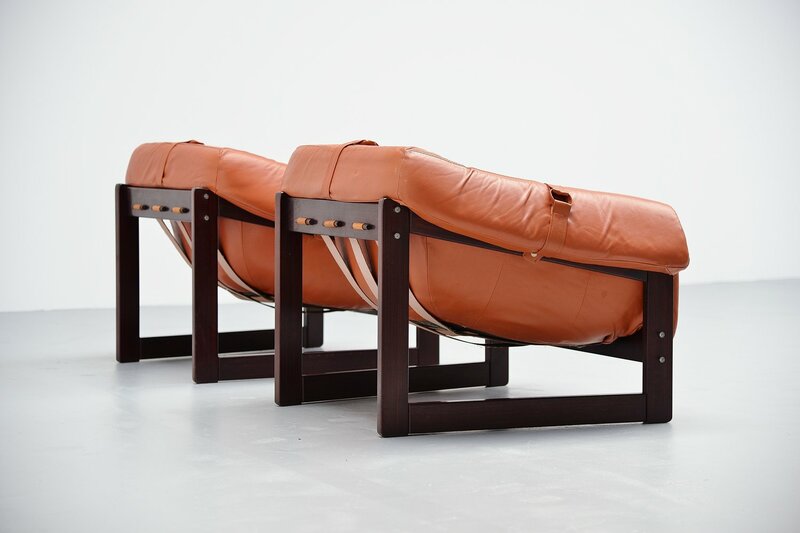 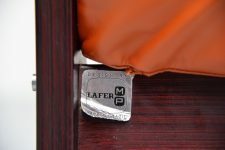 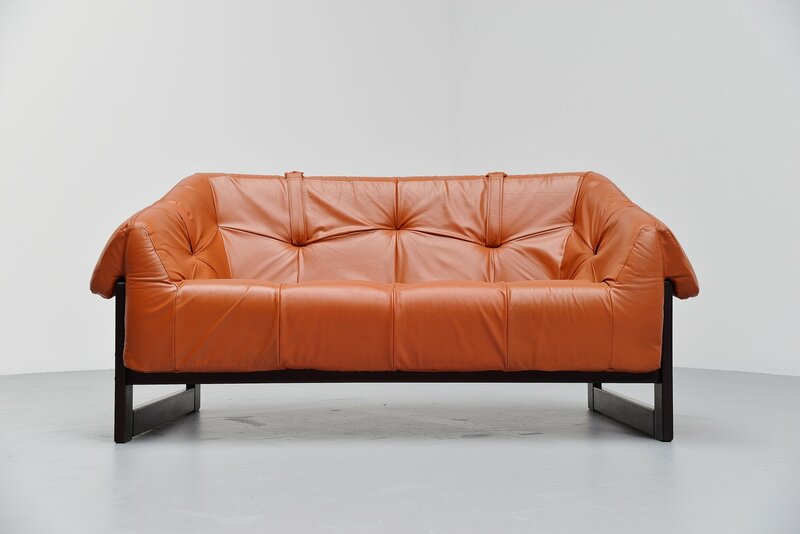 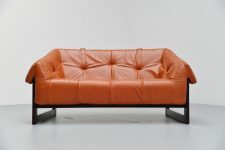 This sofa has a solid rosewood frame, and the cognac leather cushions rest in rubber straps. 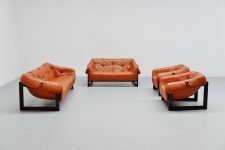 The sofa set is in excellent condition. This is for a 3 seater sofa, 2 seater sofa and 2 lounge chairs. The sofa set is marked with stickers accordingly at the front of the frame.